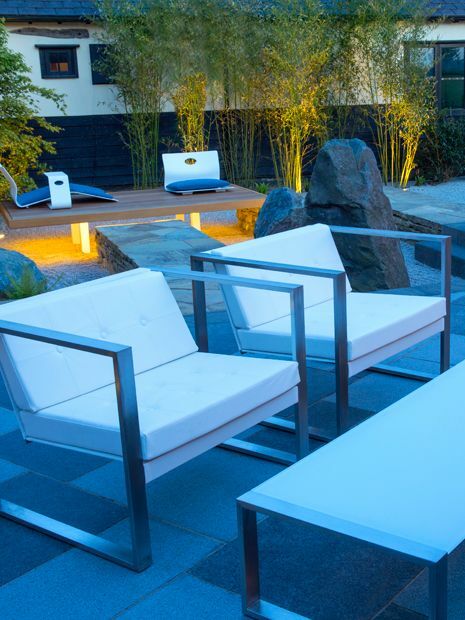 We landscape, therefore we are; every outdoor space we design is a miniature mural – a depiction of how we feel about a place we own, through a vision, building a vista or painting a lush vignette. 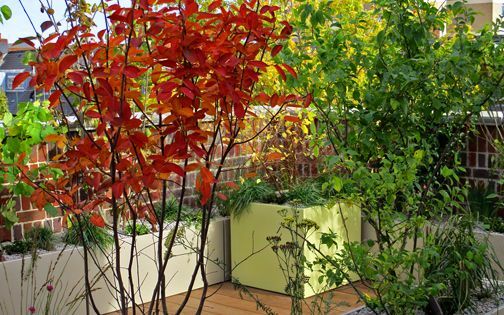 So much urban space is minimised, compressed into tiny compartments, where we seek light, privacy and fresh air; we want wildlife to share it, our kids and pets to run free in it, and our guests to be wowed by each horticultural achievement – incidental or rather well-planned. 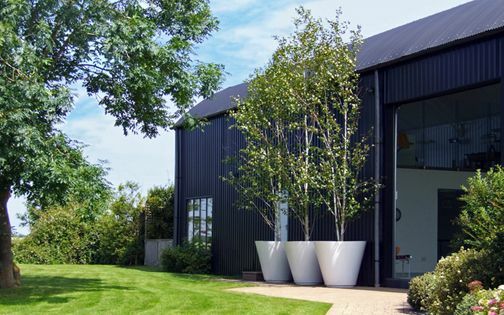 Where garden scale increases towards the suburbs and countryside, similar design principles apply in greater variety, yet, whatever the approach, context or size, we strive to humanise outdoor space through diverse landscape designs which connect flawlessly with our environment. The view from the centre of Covent Garden unveils an inspiring vista from these international law firm offices, where Nelson's Column is hovering amid Battersea Power Station chimneys in surreal fashion. 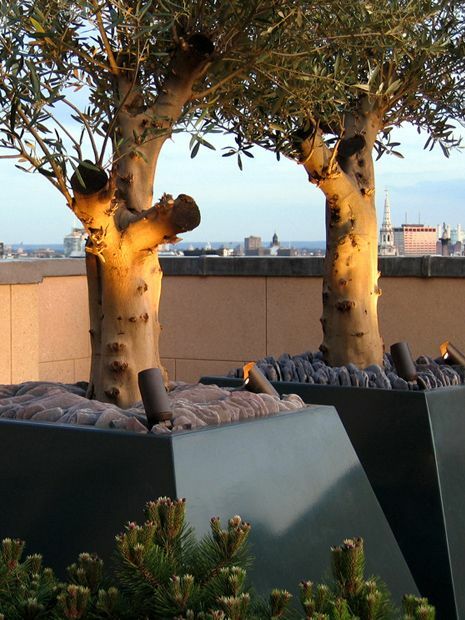 We transformed this 3,000-square-foot roof terrace by craning large Birch, Olive and Pine tree specimens, featured in sloping planters to match its unusual roofline. 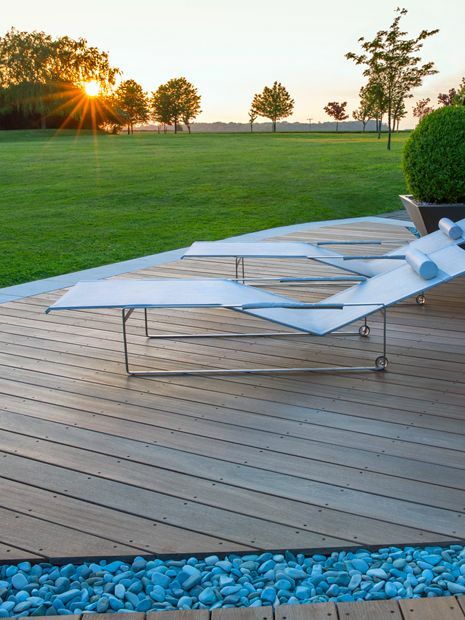 By utilising a gloss powder coating finish, the skyline reflected in surfaces produces unexpected patterns of foliage silhouettes, cloudscapes and aeroplanes in flight – echoes of a mirrored London landscape as borrowed roof terrace elements. 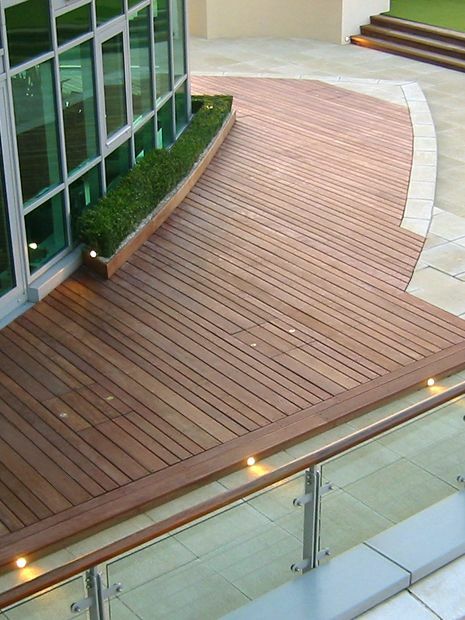 You may think a rooftop terrace is the last place you'll find wildlife, but you'd be surprised! 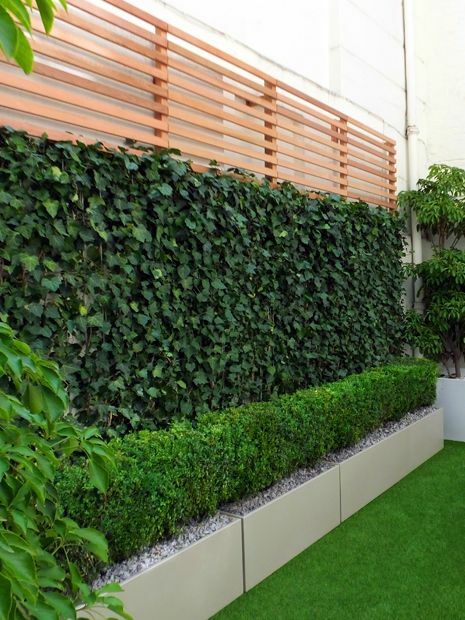 Many of us are relocating to lofty ranges, as urban terrace landscapes soar ever higher in every city on the planet, while so does airborne wildlife. We've seen beehives in Bermondsey, aviaries in Notting Hill, chipped pigeons monitoring pollution levels, and even ducklings hatching in a paddling pool in our Vauxhall roof garden. 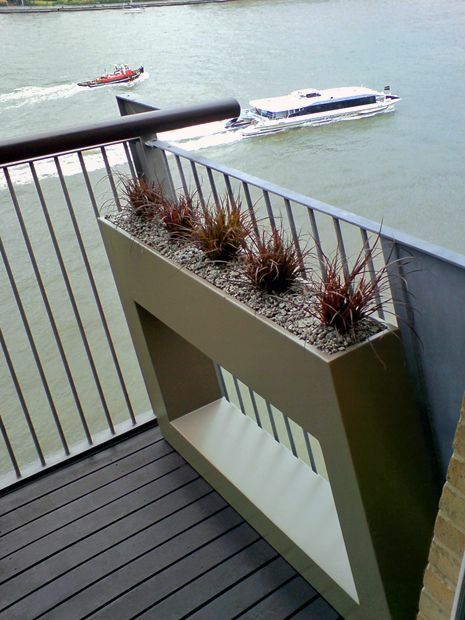 Let's face it, we can certainly indulge in the sleekest modern penthouse terrace, yet still provide room for some more guests; we need the insects – they're anything but gate crashers! River Thames forms one of the busiest, noisiest and most polluted London landscapes, as poignant as it may seem, and what's more, its barrier's diminished capacity is a testament to the effects of global warming, and in urgent need of an augmented system. Still, nothing's better than a peaceful crepuscule along the Thames, where across a rooftop panorama, the balmy sunsets warm the cockles of one's heart, producing a study of London's essential, undulating topography. We derive energy from a well-designed landscape, in the comforting familiarity of nature, or the subliminal associations fashioned in its fabric. 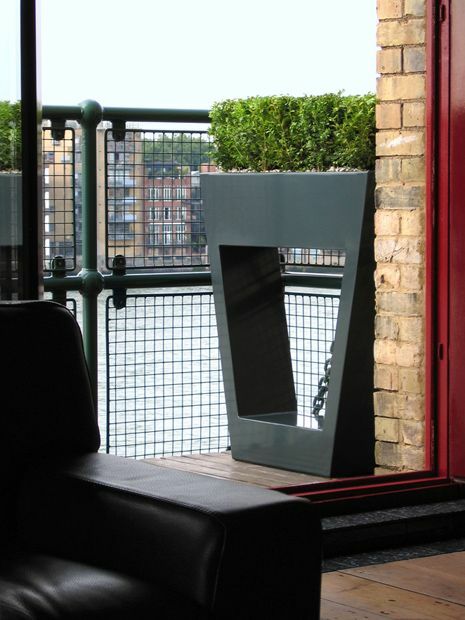 The vignettes we create by forming windows and portholes in our custom planters, often in contemporary roof terraces along the river, let daylight in, while emitting an internal LED glow at night. By carving these distinct apertures, we also provide a sense of refuge. 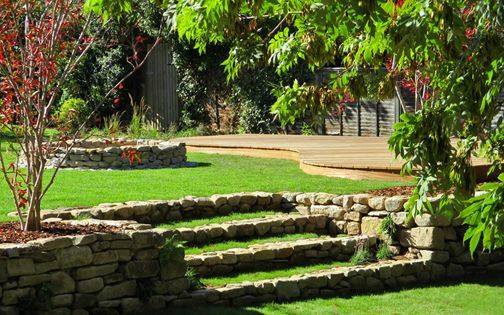 This embracive concept isn't a new landscape design phenomenon; Jay Appleton, the esteemed British human geographer, outlined his habitat theory four decades ago, in an eloquent, inspiring thesis. 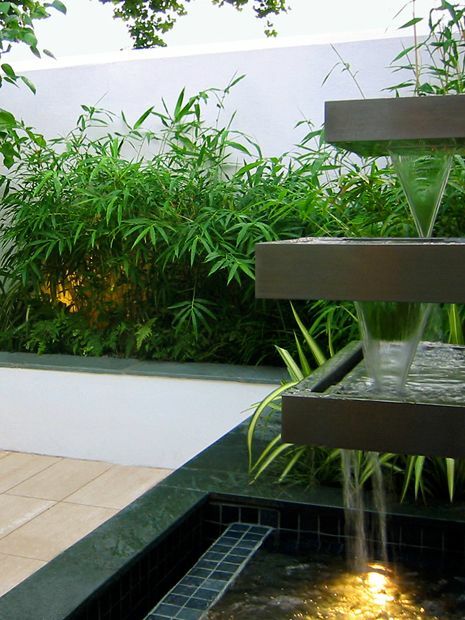 Not many clients ask for a water feature, yet when they do, they're likely to be passionate about its intrinsic qualities. 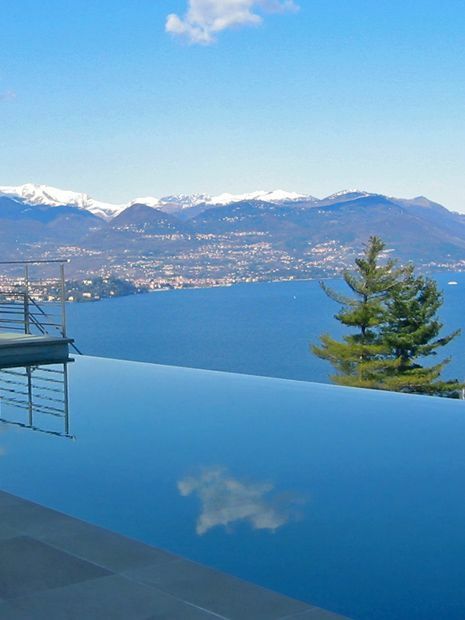 Water ambience creates powerful links to nature in man-made landscapes, evoking a gamut of innate emotions and recollections of far-flung landscapes. 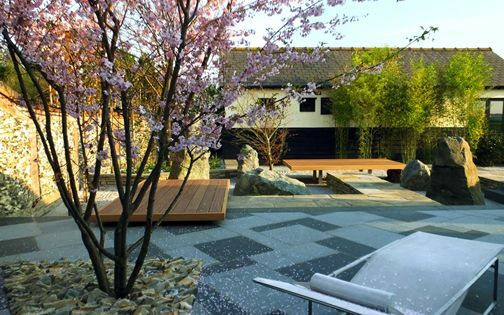 Designing and building water features forms both complex and time-consuming challenges for garden design professionals, yet aquatic elements often reanimate a project's essence – generating soothing sounds and reflections. 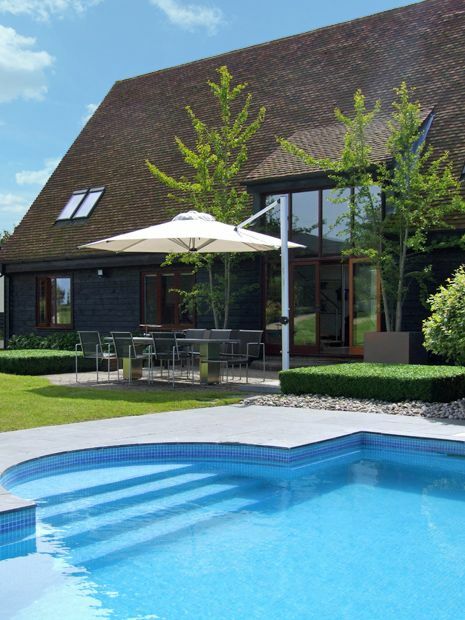 Whether in a North London garden, or within a country lakeside estate, water invariably forms a shared passion. 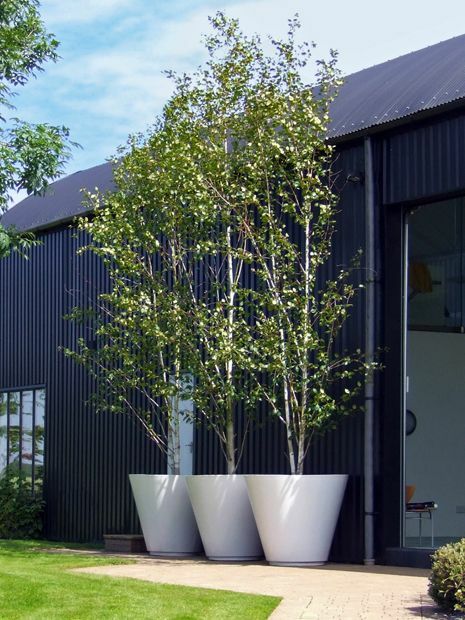 Sculptural forms are inherent to every element of our garden landscaping, whether we design them, construct them, or merely adore their grace and natural beauty. 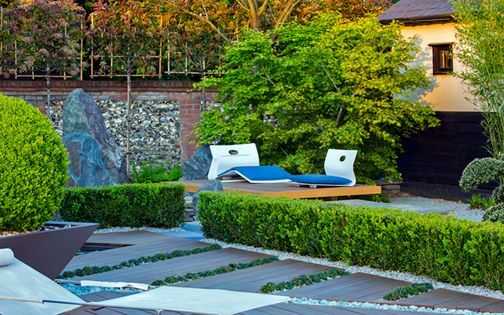 There's a myriad of such forms in this snapshot of a Chiswick garden design; the round multicoloured pebbles contrast the purple slate, while water bubbles gently at the centre of a minimalist concrete cube. 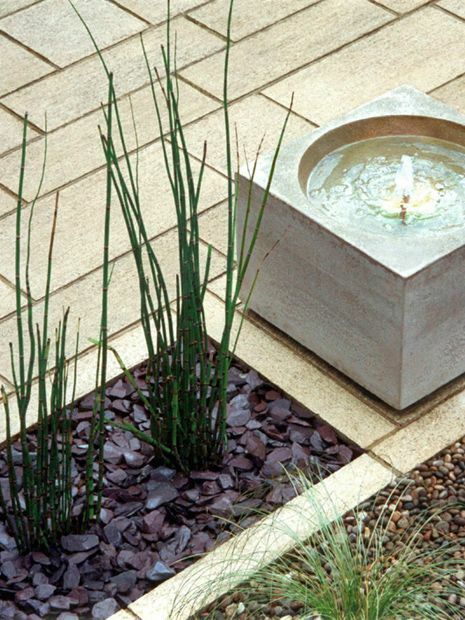 Feathery Carex sedges alongside upright striped Horsetails soften the garden design's linearity within a random grid of beige concrete pavers – fashioning a composition which portrays natural nuances amid a highly organised space. 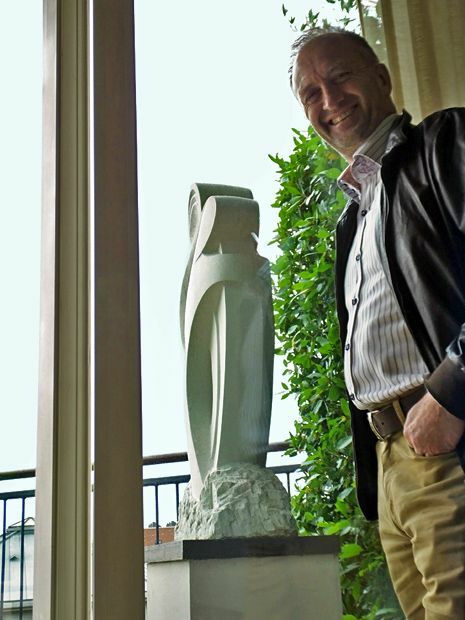 Clive Nichols captures the essence of outdoor light flawlessly, photographing notable landscapes and gardens internationally with an intuitive approach to clear-cut detail. 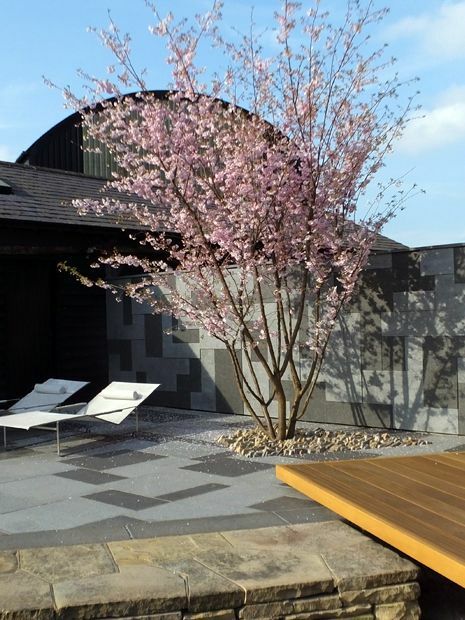 We returned to this Kings Chelsea penthouse to document progress of its rooftop terrace, and enjoy the client's marvellous hospitality and anecdotal insights. 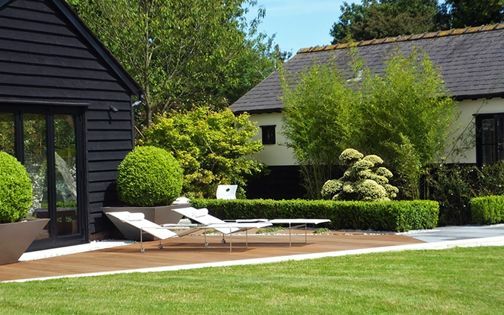 While I take many new portfolio photos myself, having easier access, when built designs have mellowed, and Clive is available, we achieve great depth in portraying previous landscape designs – through Mr Nichols' discerning perspective and immaculately detailed imagery. Timothy Soar's career photographing urban architecture spans over thirty years. 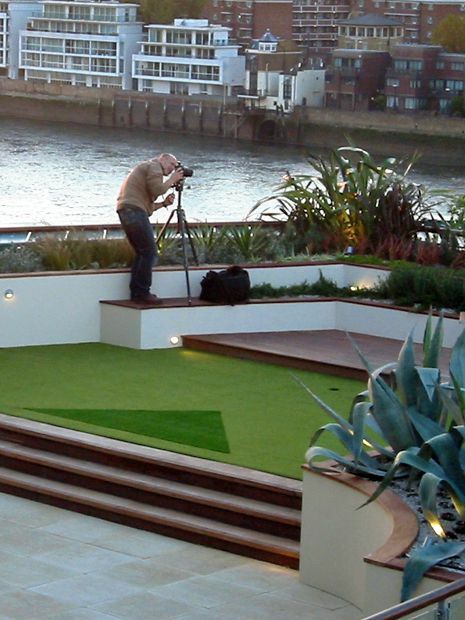 When we completed this roof landscape design project above Vauxhall Bridge at St George Wharf, Tim produced a contact sheet full of subtle nuance and detail. We sought a bird's-eye view of the entire space, and managed to gain access to the tallest point in the central tower to capture a full perspective of the site in its city landscape context. With the silhouettes of Big Ben, London Eye, Millbank Tower and Battersea Power Station, there was much to achieve by the time the sun had set across an autumnal horizon. The photographic portfolio of Marianne Majerus is among some of the most opulent we've seen. 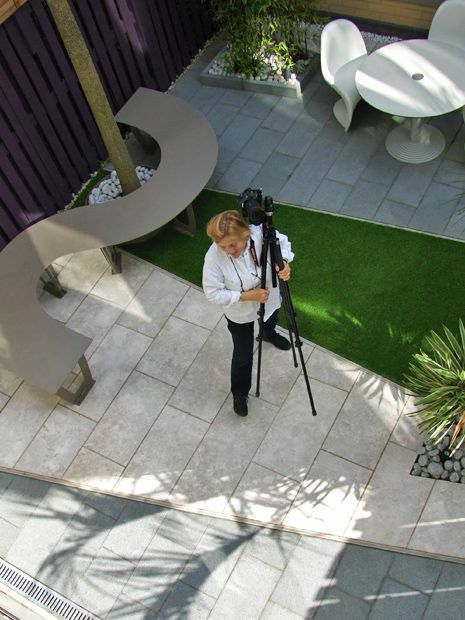 With work immortalised at the NPG and every major garden design book cover, basking in her lens is always fun. 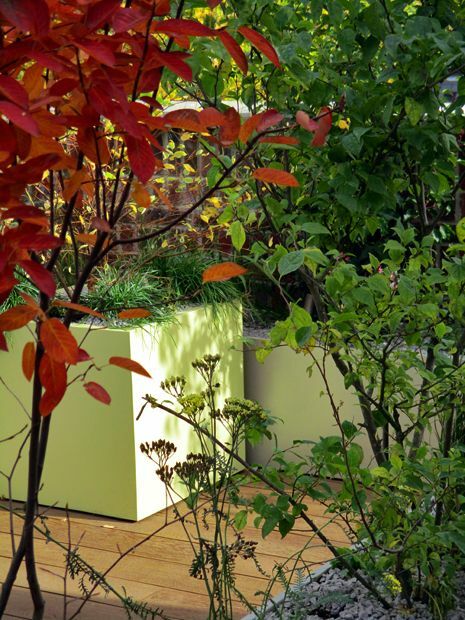 We spent an afternoon in this small Highbury garden, followed by a lengthier project revisiting large landscape gardens we've created in London and out of town. Many thanks to Clive, Marianne and Tim for taking the time to produce these captivating photographs! 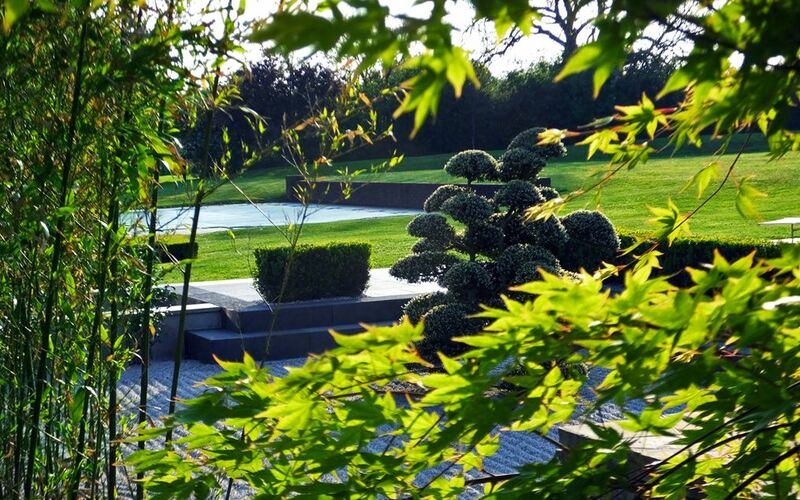 From a postage-stamp Fulham garden to a sprawling hill above Lake Maggiore, we consistently commence each landscape design & build project adhering to a paramount principle defined by close attention to detail. 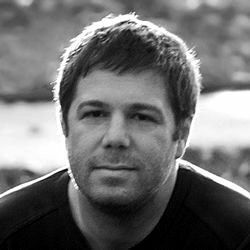 While a grand landscape design is effectually the sum of interrelated bespoke elements, each of its exclusive parts invariably forms the summation of nanoscale, distilled particles – an intricate landscape within a broader landscape canvas. 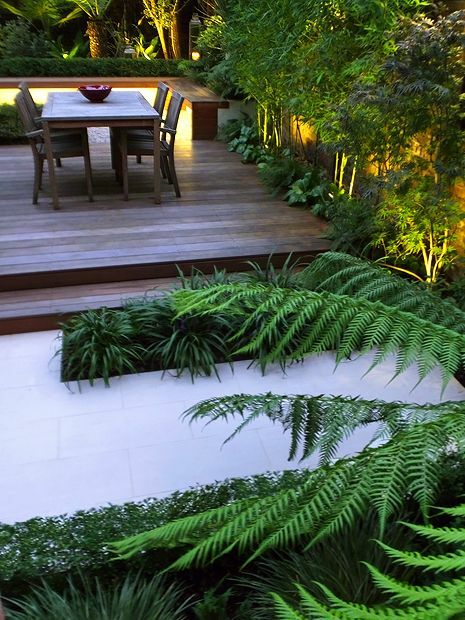 This edifying process sustains creative design ideas and concepts to suit specific sites or individual clients, forming an all-encompassing design methodology which maintains an agile mind, and leaves a deep impression with our clients in a reciprocal landscape design dialogue.